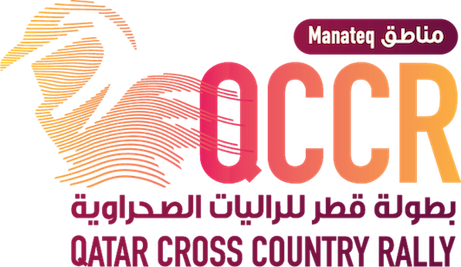 LOSAIL (Qatar): Katara, Qatar’s cultural village, will be firmly in the spotlight on Tuesday evening when it hosts the ceremonial start of the Manateq Qatar Cross-Country Rally for the first time from 19.30hrs. International motor sporting stars from as far afield as Uruguay and South Africa and many parts of Europe will line-up against a strong field of GCC competitors to tackle five days of demanding off-road action in the Qatar deserts. The FIA-sanctioned event will be supported by several riders in an FIM cross-country rally and a strong line-up of Middle East competitors taking part in the Manateq Qatar Baja. 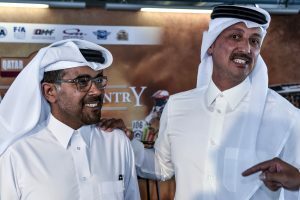 Qatar’s Nasser Saleh Al-Attiyah has won all but one of the six Qatar Cross-Country Rallies that have run since it joined the FIA World Cup calendar in 2012. The last four victories have been earned with French co-driver Matthieu Baumel and the duo are the clear favourites to give the two-time Dakar Rally winner a sixth victory on home sand. 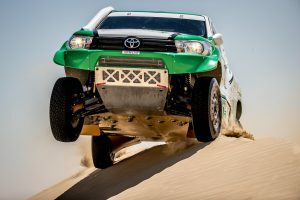 Success at the finish next Sunday would also mark a third successive triumph for Overdrive Racing and the V8-engined Toyota Hilux, which is running under the colours of Toyota GAZOO Racing South Africa on this occasion. Missing two rounds of this year’s series in the UAE could come back to haunt the Qatari, however, and his absence in both Dubai and Abu Dhabi in March opened the door for Czech driver Martin Prokop and Poland’s Jakub Przygonski to bag a fistful of championship points apiece. Prokop, driving a Ford F-150 Evo, currently leads his X-raid MINI rival by nine points heading into their Qatar showdown. Al-Attiyah is 63 points adrift of the series leader. 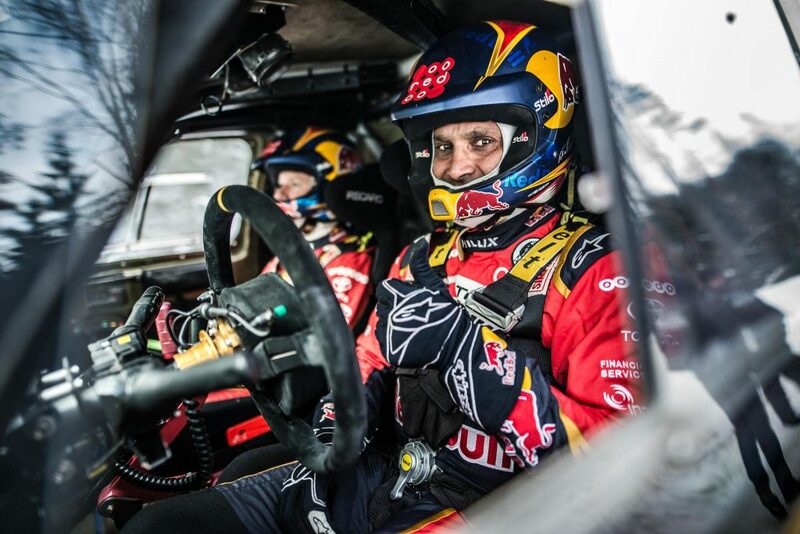 Al-Attiyah said: “Of course, we need to win the 60 points here after missing two races. I think we need to win here and in Kazakhstan and then the gap will be closed. We had a shakedown and two days of testing, 500km, and we also test some things because we want to improve from Dakar. This is the first race for this new car. We improve the suspension side a lot and the power side. 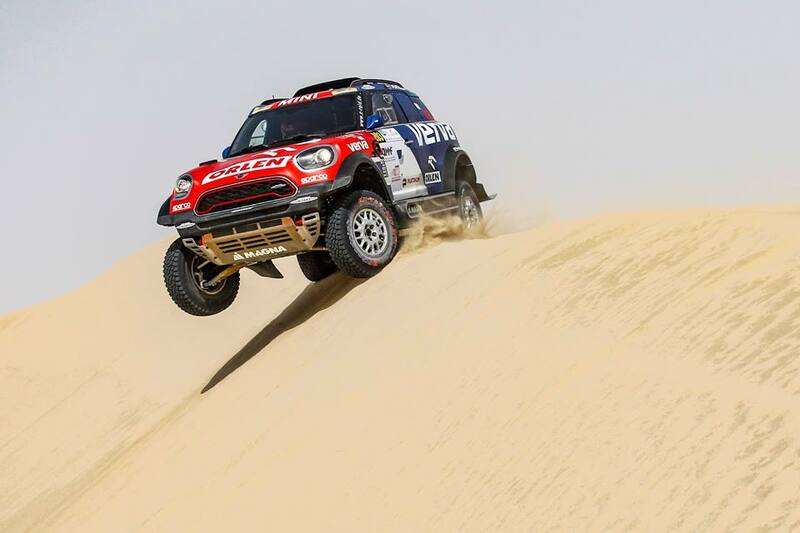 Russia’s Vladimir Vasilyev has achieved some consistent stage performances this season and useful points-scoring finishes in the UAE have moved the MINI One driver into third in the rankings – 24 points behind Prokop. This quartet should continue the FIA World Cup tussle throughout the season, although Saudi Arabia’s Yasir Seaidan will be hoping to bounce back from his non-finish in Abu Dhabi and 2009 Dakar winner Giniel de Villiers would love to secure a podium finish on his first visit to the event in a third Overdrive Toyota. Dutchman Erik van Loon and Poland’s Aron Domzala complete the five-car line-up for the Belgian team. Overdrive Racing CEO’s Jean-Marc Fortin said: “Qatar Rally is very demanding. It’s quite similar to Morocco and everyone likes to go to Morocco to test. It’s a combination of hard surfaces and dunes. Dakar was a good race, but we were in a bit of a rush before. Now we have more time to think and prepare. The facilities are good here and you exit the circuit and you are on the test track. Saudi Arabia’s Ahmed Shegawi leads Qatar’s Adel Abdulla by a mere six points in the FIA T2 Championship for series production cross-country vehicles. The Toyota Land Cruiser and Nissan Patrol drivers will continue their dusty duel through the Qatari deserts. Russia’s Yuliya Migunova-Khegay and Romania’s Laurentiu Claudiu Barbu will also be scrapping for points in T2. Spain’s José Luis Pena Campo currently holds a one-point lead over French veteran Claude Fournier in the T3 category and the two Polaris RZR 1000 drivers will renew their rivalry in Qatar. 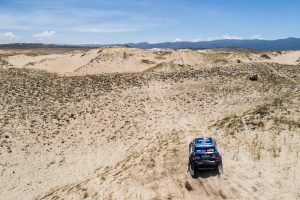 The dusty and rocky deserts are not ideally suited to the lightweight T3 vehicles and the likes of Spaniard Santiago Navarro, Russian Ravil Maginov and Italy’s Michele Cinotto will need to err on the side of caution if they are to reach the finish of each of the demanding desert stages. The event has also attracted additional T1 entries from Qatar’s Khalid Al-Suwaidi, Oman’s Abdullah Al-Zubair, Saudi Arabia’s Khalid Al-Feraihi and Spaniard Fernando Alvarez. While Poland’s Maciej Giemza aims for motorcycle glory in the absence of the KTM and Honda factory teams, Dutchman Kees Koolen and Russian Alexsandr Maxsimov will be aiming to etch a new name on the list of quad winners. Several additional motorcycles are running behind the main event in the Manateq Qatar Baja. Kuwaiti riders Meshari Abou Shibah and Abdullah Al-Shatti face the likes of South Africa’s Michael Anderson, while Mohammed Al-Khulaifi and Basem Ali Abuswalleh ride a pair of Yamahas in the quad section. 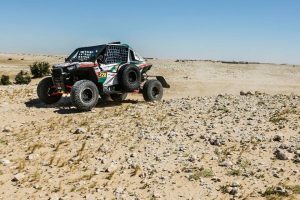 The entry list is further boosted by an impressive number of GCC crews tackling the Manateq Qatar Baja in the car category. 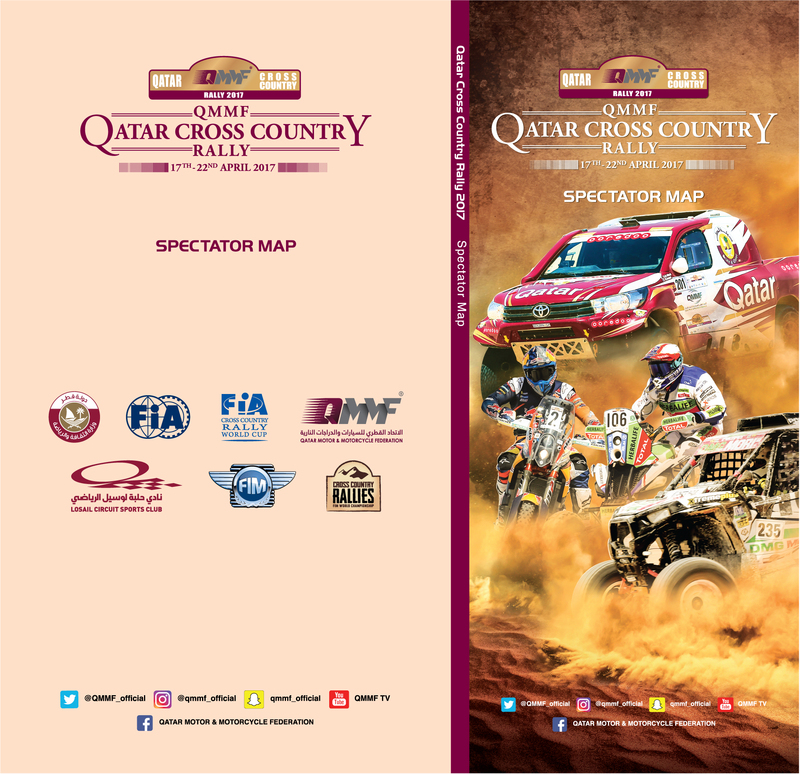 Names at the front of the 18-car field include Mohammed Al-Mannai, 1993 FIA Middle East rally champion Sheikh Hamed bin Eid Al-Thani, Abdulah Al-Rabban, Mohammed Al-Meer and Al-Attiyah’s cousin Mohammed Al-Attiyah. 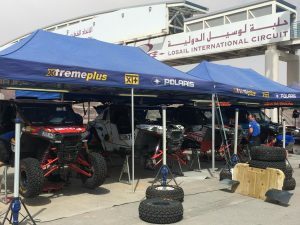 The Saudi duo of Ahmed Shegawi and Khaled Al-Feraihi, Qatar’s Adel Abdulla and Oman’s Abdullah Al-Zubair are eligible for both the international and Baja events. Competitors will pass through their mandatory administration and scrutineering checks at the Losail International Circuit on Tuesday morning. Competitive action gets underway with a timed super special stage at the Losail International Circuit from 16.15hrs on Wednesday, April 18.